Nancy K. Dillon is a songwriter/performer and visual artist. She is a former KBCS-FM Folk DJ and operates a small niche radio promotions business, Rose Rock Music Services, working with independent folk/Americana artists from around the USA. Nancy is a board member of Puget’s Sound Productions. She has 3 full-length studio recordings, an EP (Live at The Royal Room) and a Christmas single (In The Bleak Midwinter). Her newest CD (A Game of Swans) was released in the USA January 2018 and debuted in the Top 20 FolkDJ Chart Albums. UK/European Release date is December 25, 2018. More information at www.nancykdillon.net. Nancy K. Dillon is an award-winning American songwriter/performer possessing an extraordinarily warm and expressive voice, unique in its ability to reveal both strength and vulnerability. With a finely focused musical ear, Dillon mines a vein of avant garde Americana in her compelling tales of mythopoetic darkness and light melding past and future. She has released three solo studio albums and her live project, a 6-song EP (Live at The Royal Room) was released in September 2017. A Christmas single "In the Bleak Midwinter" was released on Rose Rock Records in December 2017. Her newest full-length studio album (A Game of Swans) was released in the USA in January 2018 and in UK/Europe on December 25, 2018. Dillon grew up in Central Oklahoma raised in a musical family by her composer/professor/jazz-player/church-choir-director father, Bob Dillon, and her mother, Betty Lou, a former vocal teacher who sang hymns around the house. After graduating from the University of Oklahoma, a move to Seattle led to travel, adventure and varied musical opportunity. Nancy performed in roots-based bands and was in demand as a backing vocalist and session singer until her decision to focus on songwriting in the New Millennium. In 2004, Dillon released her first studio solo album recorded with Grammy Award-winning engineer, Garey Shelton. A rootsy outing of mostly original songs, "Just Let Me Dream" gained airplay around the world and was highly praised by reviewers. With the release of her 2nd album, "Roses Guide To Time Travel" (2010), Dillon began a musical exploration of her American roots. For "Roses Guide" she designed a haunting image of an old time locomotive for the cover and dedicated the album to her great-grandfather Kansas trainman and BLFE Union Officer, Asa Dillon. In addition to performing, she continued her travels throughout the New West writing and singing songs of railroads and Okies, Texas tornados and lonely roads of red dirt. Dillon's new album, "A Game of Swans" was inspired and informed by her passion for genealogy and hearkens back to her immigrant roots in the Old Country while maintaining her gaze firmly forward. The 12 tracks on "A Game of Swans" reveal ancestral strains of Celtic folk culture migrated to America, strains that have always flowed just beneath the surface of Dillon's music. To achieve the perfect colors, tones and authenticity for the album, contributing tracks from the UK and Scotland were blended with recordings made in the USA. UK musos, Gavin Sutherland (Sutherland Brothers & Quiver), Ian Lang (Small Change), Chris Parks (Any Trouble) and Ollie Collins (Badly Drawn Boy/Angie Palmer) combine their prodigious talents with American contributors Stacy Phillips (Dobro), Michael Connelly (fiddle/uilleann pipes/penny whistle), Wes Weddell (mandolin), Chris Leighton (percussion), Garey Shelton (bass guitar/engineer) and harmony vocalists, Joy Mills and Tom Parker. Inspired by the varied migratory paths taken by both her Southern Loyalist and Scots-Irish Presbyterian forebears as they aimed towards better futures, Dillon herself took flight from her beloved home state of Oklahoma into the vast American West. Settling in the verdant beauty of the Pacific Northwest allows for road trips that still the mind and feed the imagination. New songs for "A Game of Swans" include originals and collaborations as well as tracks by songwriters, Drew Nelson & Janni Littlepage and Pat Long. These 12 new songs draw characters from lost gold mines, haunted pioneer cabins, a railroad hobo's last goodbye and immigrants' prayers for Civil War last chances. Dillon writes compellingly, poetically and sometimes mysteriously in her stories in song. This talent elevates her writing far beyond the usual fare of singer-songwriters. She initially found inspiration in dreams and in traveling across the vast landscapes of the western US. The past few years she has delved deeply into her family's history in Ireland, Scotland, Europe and Britain,. This has resulted in new inspiration and newly minted stories. Dillon is traveling a path that we all should travel. She's unearthed amazing facts along the way such as her father fought in the brutal Battle of the Bulge in World War II and her 7th great-grand-uncle in Scotland wrote a treatise called Lex Rex upon which the 2nd amendment was based. Through her music and through following her muse, she's uncovering the intense, heart-breaking stories that people don't always want to tell, the stories that are only whispered about in families. Her new album echoes with the strengths and challenges of history, the promise of new hopes and dreams and draws out the ghosts of many untold stories. 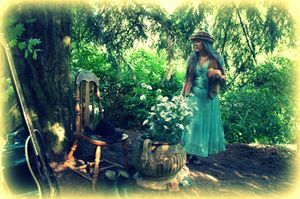 Echoing the New World/Old World journey, A Game of Swans was recorded half in the Northwestern US and half in the UK through the magic of the internet and several musical collaborations begun on Nancy's previous album, "Roses Guide to Time Travel". Now, "A Game of Swans" fulfills that promise and is a masterful showcase for Nancy K Dillon as a bandleader. She pulls together a cast of exquisite and extraordinary players on acoustic and electric instruments - some of the best roots musicians in each region - and guides them into creating vastly different sounds to fit each song.